Walmart has Magic Chef 27-Lb. 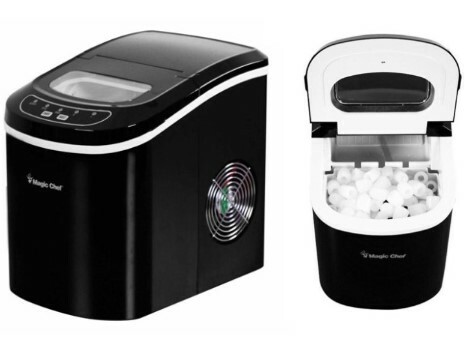 Portable Countertop Ice Maker for $99 (Reg $130) with free shipping. Makes approximately 9 ice cubes per cycle and up to 27 lbs. of ice per dayJust add water and select desired size to make ice in as little as 7 minutes. Compact, lightweight and completely portable, this handy icemaker is small enough to fit on your kitchen countertop or carry with you to the party.